Just wanted to drop you a quick note to once again say "Thank You" for the awesome job you did on Saturday. The music that was played at the Depot was perfect and you had the dance floor "rockin" all night long. I can't remember the last time I went to a wedding where the dance floor was full all night. It was obvious that everyone was having a great time. I also received several compliments from the guests as to the volume level of the music. They were very appreciative of the fact that they could carry on a conversation with the person across the table from them and not have to yell in order to be heard over the music. Andrea was telling me that at one point during the evening she sat down at one of the tables in the corner nearest the dance floor and was able to talk without yelling. Very nice. Again, THANK YOU and every time someone asks me how the wedding went I am always sure to mention what a fantastic job you did. If you ever need a recommendation, be sure to pass along my e-mail information. I will be happy to help you out. 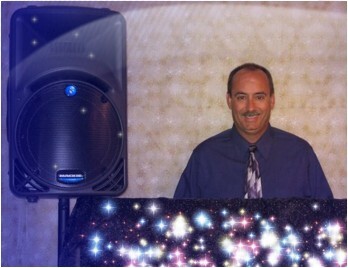 We wanted to say a huge “THANK YOU” for being the DJ at our wedding. Our guests, as well as us, had a blast! We appreciate your patience & professionalism. You did an amazing job! Thank you for working so hard to help our reception be perfect for us. Thank you for meeting with us and talking with us all through the preparation stage. We had an extraordinary time! You did an amazing job at the wedding ceremony and at the reception. You have no idea how many compliments you have received. Greg and I were so happy. We will recommend you to anyone who needs a DJ. Thank you for your music and help at the Mardi gras party. Having you share your gifts and talents makes a parish alive. Thanks again. Thank you SO much for volunteering to DJ at the Spray Park Ribbon Cutting!! Your music really created a fun atmosphere. We are talking about having a special DJ area for “after hours” parties at the spray park next year – or maybe even during hours. The place has been packed since it opened. Thank you again. Thank you so much for DJing our bridal shower and wedding reception! The music really made our reception complete. Thank you for setting up your big screen and projector for our slide show. Your suggestion to project our family slides from behind while danced in front made it truly romantic and memorable. You were able to do a great job, considering all the power problems we experienced with Addison Oaks (and their generators!) Despite the heat, you were able to keep the dance floor packed all night long and for that we thank you SO much!